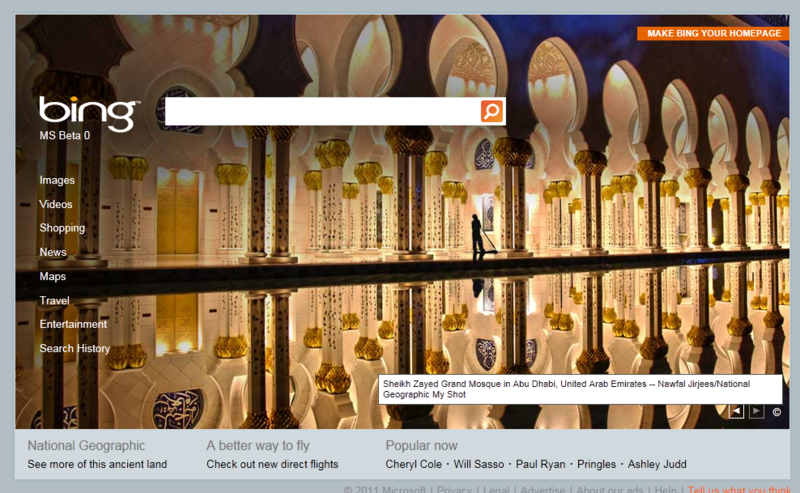 Today’s picture on Bing United States homepage. 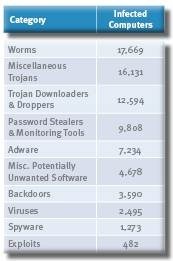 As per the latest report published by Microsoft, based on feedback from the Malicious Software Removal Tool (MSRT). The MSRT is usually executed as part of Windows Update and currently has a user base of 500+ million computers worldwide running Windows. 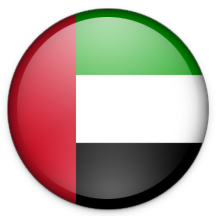 The UAE were one of the countries included in the report. However, the number of computers infected with malware in the UAE is lower than the worldwide average with only 5.8 infected computers for every 1000 computers in the country. 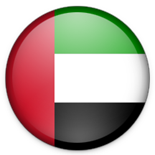 According to the analysis, the UAE is ‘dominated’ by malware, which accounts for 82.6% of all threats detected on infected computers. 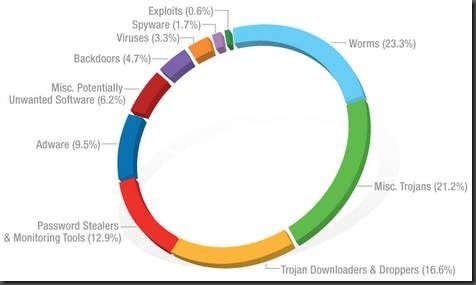 The most common category of malware in the country was found to be worms (23%) which have the ability to spread via mapped drives with missing or weak passwords or by using USB flash drives. It was my pleasure working with the team @HCT and I am happy that I have both learnt and imparted more than a thing or two during my short tenure. Lost in the desert – with a GPS! My friend Sumaidh and I decided to visit the Liwa Oasis area in the Western region of Abu Dhabi emirate. This was unfamiliar territory for me, although I knew that it is towards the border with Saudi Arabia. However, since we had my Garmin GPS, we thought that finding the way would be no problem – until we got lost. Armed with the GPS device, we set off from Abu Dhabi on the road towards Silah, following the turn-by-turn vocal instructions from the GPS. After a considerable amount of driving, the device asked us to make an exit to the road beside Tareef bus stand. We exited and traveled for a considerable distance down that road which looked very deserted. We couldn’t find any other vehicles on that route. On both sides, we saw a very barren desert. The GPS device was asking us to continue down that road so we kept going – until we were flagged down at a military check post! The soldiers asked us to make a U-turn and go back! I asked them in broken Arabic how we can get to Liwa, and they told me to go back towards Abu Dhabi and make an exit at Abu Abyad. We had already traveled almost an hour beyond that exit! So off we went – all the way back to Abu Abyad – to make that exit. Once we made that exit, we were in for another surprise – the device did not know of the road we had taken. The map indicated that we were riding off-road in the desert. Nevertheless, after an hour riding down the road (which, according to the GPS is not a road, just desert), we reached a road on the outskirts of Madinat Zayed that the device understood. Overall the trip was fun – we saw the Liwa Oasis area, walked into a farm, (and even talked to a farmer) and then drove till ‘Aradah. On our way back we had a peek into the Al Dhafra festival. Talk about computer systems gone completely crazy. I recently brought one of my relatives here on a visit visa. Getting the visa issued, by itself is a fairly complex job involving a lot of legwork. As per the local law, I am supposed to deposit an amount of money as a security deposit, which will be refunded once my guest leaves the country. My relative left, and so I went to the immigration department again – this time to get my money back. The dept. is a compound with a number of buildings. At the entrance, there was a person seated — no matter what you asked him, he would listen and then say "Rooh Daakhil" (go inside), which wasn’t very helpful. Anyways, I went ahead to the typing center and found my place in a large queue. There was a row of desks with typists seated. After waiting for a long time we realised that the "typists" where just staring at the screens and weren’t quite "typing". After an hour and a half, we realised that "the system" is down. After more than 2 hours of useless waiting I gave up and left. It cost me half a working day. I decided to check with a private ‘typing center’ outside. They informed me that "the system" has been "down" for 2 days. A day later, I finally got the "application" typed outside. Off I went to the immigration department (again taking a half day off from work). I presented the typed up application to the counter, where they issued me a letter for the bank instructing them to refund the money. The guy at the counter asked me to make a photocopy of the letter he just gave me (apparently, the 16% that they charge for giving me my refundable money doesn’t include charges for making a single page photocopy). I made a copy (at another queue) and after presenting this copy back at the same counter, the gentleman placed a seal on the original and told me to go to the bank. A lot of legwork indeed! This was the second time that "the system" let me down. Only that this time, it was the bank’s system! Ahh.. struck by lightning – twice! It seemed ironical that IT Pros like us, who are committed to keeping systems alive in our own turf and write/talk volumes about infrastructure optimization, fall victims to such repeated mishaps elsewhere and feel pathetic when we realize how mismanaged information systems can mess up our own lives! PS: After an hour, the system was back online, and I got my cash. Coming to Abu Dhabi, Bahrain, Dubai, Oman, Kuwait, Qatar on the dates below. Register now by clicking on the link below. Last Wednesday, I bought a Garmin Nuvi 310 GPS device for my car. I’ve been driving around with it for the past 4 days, so I thought I’d write a little review. One of the main reasons behind selecting this particular model is that it gives me the combined features of a GPS navigation aid and a mobile bluetooth handsfree device. The device came with built-in maps of the GCC countries with complete coverage of UAE, Bahrain, Oman, Qatar and Kuwait and coverage of urban areas and intercity highways of Saudi Arabia. The device is very accurate, and it includes even the less prominent alley roads of Abu Dhabi. Position estimation is super-accurate and if I set my destination, the device gives timely voice prompts asking me to stay in the correct lane, take turns etc. It is difficult to get lost! Route calculation is quick and very impressive, contrary to a review I read elsewhere about this model. When I make a wrong turn, the device recalculates a new route to my destination in a matter of 3-4 seconds. The device includes all noteworthy points of interest (POI) and these are categorized well – Shopping, Recreation, Hospitals, etc. You can also create your own favorite locations. Searching for a destination is very easy, there is touch screen keyboard and the device auto-suggests places that match your entry without having to type the whole name. The device comes with a windshield mount, and a dashboard mount. The windshield mount is good, and sticks on the windshield with no problems at all. The bluetooth handsfree is extremely good, and works well with my Nokia E61. The speaker and microphone are very good and lets you talk naturally. You can also use the bluetooth feature to call a location right off the map! You just need to save the number alongwith the location. The estimation of arrival time is fairly accurate. The current speed displayed by the device matches the speedometer reading with a maximum error of 3-5 km/hr. The GarminLock anti-theft feature lets you set a 4 digit PIN to lock your device. You have to enter this 4 digit code whenever you power on the device. You can set a "secret location" – so that if you forget the code, you need to take the device to the same secret location and the device will unlock. There is also a set of 2 GarminLock stickers to stick on your car windows to deter any potential Garmin-robbers! Some of the custom POIs (Points of interest) like red light cameras, speed cameras, etc are not available for the Middle East region (yet). FM Traffic management feature cannot be used because such an FM service is not available in the Middle East region (yet). Even though the device says that it has the latest map, some of the newer POI’s like Khalidiya Mall in Abu Dhabi (which opened less than a year ago) are not included in the map and there is no map update available yet for the Middle East. The adhesive on the dashboard mount that comes with the device refused to stick on my dashboard. So I removed the adhesive and used 3M/Scotch mount squares. Those wouldn’t stick either. It was then that I realized that my dashboard had wax on it, so a little cleaning and using the Scotch mount squares again worked perfectly. The device came with Arabic manuals only. 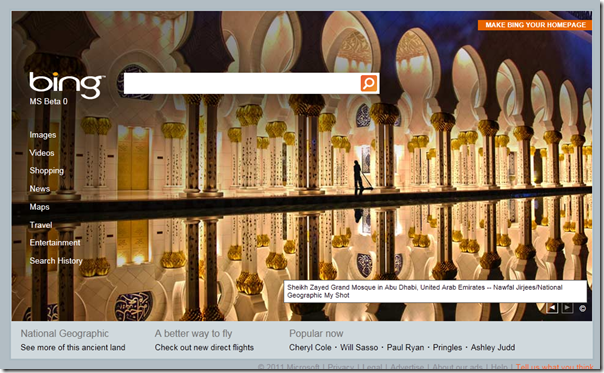 Even the quick start guide was Arabic-only. I had to download the English manual. The device itself, however, had both Arabic and English interface and voice commands. I could not register the device by entering the serial number on the Garmin website. I got the error message "The serial number you have entered has already been registered. ", even though the box was unopened and the device was brand new. I contacted Garmin support and they fixed the issue within 2 days. The box package is very plain. It’s just a blue and white box. The only text on it is "GARMIN" and there was a sticker with a bar code which just said "Nuvi 310 GPS, Arabic, N.O." and some serial numbers. There is no description of features or contents whatsoever. So make sure you know what you’re buying before you go to the store! In summary, I think its a great device and I would definitely recommend it for the average and above average road user in this part of the world.